Adjacent to the Jordan House Hotel in Jordan Village, but with separate entrances, is the renovated Jordan House Tavern. 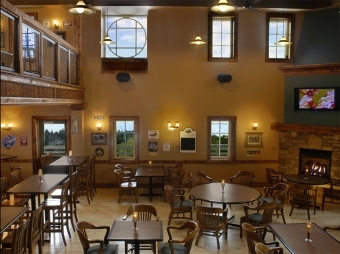 Niagara wines, beers on tap and a full bar are offered along with a menu of casual food that features soups, salads, burgers and other grill items. Not to mention hand-cut fries that are addictive! We have an outdoor summer patio area, but we are also ready for colder weather with a great fireplace and indoor pleasures such as a pool table in the mezzanine.